I've used the Time machine for 3 - 4 years now, mainly for high speed photography. The shipping costs of the rotary heads have always put me off buying one.The other system I use is the Stop Shot by Cognisys, they have also started to look at stepper systems controlled by their control systems. Take a look at my mini pan head. It's a cute little bugger. Wow I love the dolly design! As the song goes, "one thing leads to another". The application of 80/20 extrusions to the task was a great idea. I'd never heard of 80/20 but my robotic friends tell me they've been using it for years. I've always used taught wire and capstan drives with the 4" rotary table because they're simple and accurate. For a really portable rig, the 1020 extrusion seems perfectly stiff enough and is half the weight. Here's a sketch from last year with my fantastically ridiculous paddlewheel idea. Now that's pimp! As the song goes, "one thing leads to another". Bryan, your rotary table was the inspiration for my first attempt at time-lapse panning. I used it once, during the winter, and the grease inside the rotary head froze. That was also the last time I used it. Moving parts were never my forté. Seems odd that it froze. The grease is not water-based. The 4" rotary was used extensively by Wade Fairley in Antarctica during the shooting of Planet Earth. He said it worked flawlessly for 50 days in the field at minus 20 to minus 30 degrees C. Other people have used it in Antarctica, the arctic, and at the peak of Mauna Loa in Hawaii (it's really cold at the top). Stepper motors have more torque at low speed that high. Is it possible that your grease got thick and stalled at a higher speed setting, but if you had set "SLOW" and "FAST" to lower values, it would have been okay? Sorry Bryan, I just wasted a minute of your life. I meant its design was the inspiration for my own DIY attempt. I used a cheap rotary table from Harbor Freight Tools. I suspect it was lubricated with lard and earwax. If done properly the rotary table is a brilliant idea. I'm very familiar with the clips you mentioned - I'd jump at the chance to contribute to something like Planet Earth, even in a tiny capacity. Oh, I get it now. I've been tempted to get a Harbor Freight table and see if it could be made into a cheap alternative to the Sherline. I guess I need not worry about it. The guy who runs Sherline (Joe Martin) is the most ethical, conscientious businessman I've ever met. He does high quality work or he doesn't get into it at all. Oh, I get it now. I've been tempted to get a Harbor Freight table and see if it could be made into a cheap alternative to the Sherline. I guess I need not worry about it. though I'd have to dig it out and check. I forget the gear ratio. Had a considerable amount of slop, but if you drive it in one direction it would probably get the job done. I recall it had something like a 10mm shaft, as I had trouble coupling it to my 1/4" motor shaft. LMAO at the paddle wheel, Jay! I remember the first time I saw that. I think I was actually still chuckling when I called you. Bryan, I would definitely suggest changing from a wire pully to a positive-lock timing belt with omega drive. It's what all the cool kids are doing these days. Alas, I was never one of the cool kids. I was the kid in radio and astronomy clubs. I'm using vinyl coated aircraft cable. With a loop around the pulley and the cable pulled snug with screw adjusters, there's no play and too much friction for slip. I got 10 hours of motion out of eight "AA" alkaline batteries with a 2 amp Sherline motor in a ramped pan with exposures every 10 seconds. And if you want to lug around a 5 amp hour gel cell, that pencils out to 35 hours of shooting. These are some of the ways in which a custom tool can be a better tool than stock industrial components. Though it's a lot of work to design from scratch, that's what I do, and that's what I find interesting. I'm not a photographer trying to shoot a movie. I'm a toolmaker trying to build the best tool that a photographer can use to shoot HIS movie. Just to make a point: current consumption is _not_ a factor of what type of gear train is used to drive a device, but is instead based on motor selection, driver, and input gearing towards torque ratio. When one uses the same motor and same driver, no matter whether you're using a timing belt or a plastic coated cable, your current consumption at rest or in motion is the same. The drive train defines efficiency per unit of power consumed. As an aside, I've always been taught that capstan efficiency is low at low load ratings, and that efficiency increases as load increases relative to input torque. Of course, as you are not using it as an actual winch, I doubt the conversion actually applies, and instead efficiency is a function of friction within the connection and pitch diameter of the drive pulley. The primary difference between a cable and a timing belt is that a timing belt will have no backlash and no slip even at moderate tension settings, whereas a cable must be tightened according to load to prevent inefficiencies through slippage. 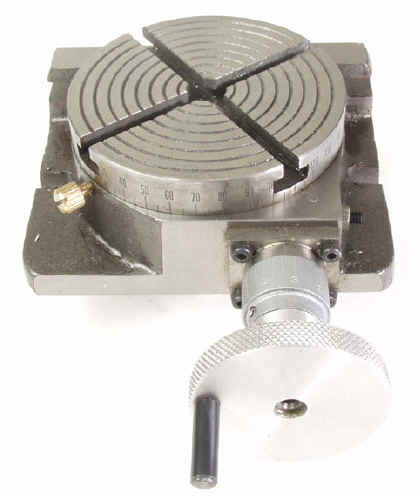 Additionally, for calculating travel movement, one must take into account the increased diameter of running the cable in a diagonal fashion around the pulley (it is impossible to to have a complete and exactly parallel wrap), whereas the pitch diameter of a timing belt and pulley combination is consistent, and requires no further measurements to ascertain. I also want to point out that _all_ of our motion components (pulleys, belts, idlers) _except_ the belt clamps for the ends are off-the-shelf and commercially available. There are readily available belt clips, but we did not like how they inhibited certain features, so we made new ones. I sensed in there that you were implying our motion components are all custom. Perhaps if I spent more time in these forum I'd have a better idea of what you do, but I'm afraid I don't know. It sounds like I've offended you in some way, but I assure you I was not speaking of anything you in particular are doing, because I don't know what you do. If I had to guess after you said "our motion components", I'd guess that you were involved with the Dynamic Perception project? Anyway, I'm not trying to put down toothed belts or stock motor drives. I'm just trying to show why my choices have merit..
To clarify my point about current consumption, my new driver has a microprocessor in it, which runs a program I write. Because my driver has a "brain", it can do additional things a generic motor driver doesn't do. For example, it can automatically reduce the current to the motor after a period of inactivity to any level I choose. It is for this reason that I say my driver is much more efficient than an Omega driver, which was not designed to run on batteries in the wilderness. When motion is not needed, the battery drain goes way down. Naturally, if you were in a situation where you still needed full holding torque, you might want to switch this feature off. But for horizontal pans there's no need to keep the motor fully (or even half) energized. This makes a huge difference in battery life. I don't know what the theoretical efficiency of a capstan drive is. All I do is build a design and see how it works. My capstan drive will lift my Canon 40D vertically just fine, and it takes some effort to stall it, which stalls the motor, it doesn't slip the cable. It might well be that this is technically inefficient. All I care about is that it works, and that it will run for hours on small batteries. But if I were building dollys for sale, and people wanted toothed belts, I see no reason not to use them. My only point is that I have found my capstan drive to be reliable and accurate to a remarkably fine scale. As for the diagonal wrap of a cable on the pulley, the cable is only 1/16" thick. The diagonal is very small, and it's the same from one end of travel to the other. This may be like the theoretical efficiency of a capstan in that it's a technical detail whose significance may better be judged by performance. In theory maybe it matters, in practice it does not appear to. Bryan, I think the issue here is that we're talking past each other. When we are referring to an omega drive, it is a configuration of belt and pulleys used for linear motion, and not a specific brand of motor driver. For example, see these pictures: viewtopic.php?f=31&t=1511 Look at the second photo. I also briefly touch on the omega configuration in this article: http://openmoco.org/node/243 (look under timing belt pulleys). It appeared as though you were saying a capstan design was more energy efficient than an omega design drive train - to which I was all to happy to debate, given that proper timing belt pulley setups are one of the most efficient means of transmitting power (95-98%). I'm aware of what you use to control your motors, I've watched your project for some time. If you presume I was upset with you, please understand I was not - I was contesting a point that was based on something lost in translation. I've long espoused the need to have the ability to control power flow, which is why the openmoco engine can cut power to any or all motors between moves. Not being familiar with the term "omega drive" I Googled it, and was taken to a web site with stepper motor drivers made by Omega. Bryan, this is an example of an "omega drive" or omega belt drive system. It's strong and accurate, especially for climbing moves (incline/decline). Thanks for sharing the pro's and con's of the background to capstan and belt drives. Its this sort of info that can help many of us not having to re-invent the wheel ... my first real-time dolly system used a crude friction wheel system to drive it ... very embarrassing as initial start up slippage was frequent. I've not built a lot of dolly rigs, having left that for people to do themselves. But I've built a couple, to become familiar with the issues, and to be able to offer some advice. The vinyl coated aircraft cable has worked well for me and Tom shot some great footage with it. It's simple, easy to acquire and rig, and cheap. But I'll order in some toothed belting and a pulley to build an "omega drive" as part of my ongoing education. Hi all- new member here. I was wondering: What's the status of the mini mumford heads? Is something available at this point or will it be soon? I have begun to ship systems to eager people, though there will probably be updates. You can contact me privately at bryan@bmumford.com for details about the availability of these tools.